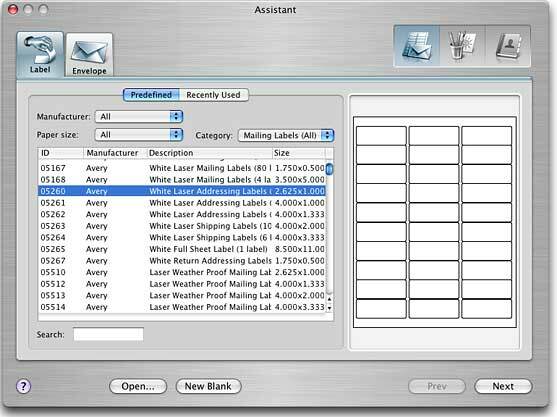 A faster way to print envelopes and labels, design and print envelopes, address and shipping labels on your Macintosh. Still writing addresses for your mailings by hand? It's time-taking, inaccurate and not professional. And it can turn a nightmare if your mailing list is large. We know a better way. 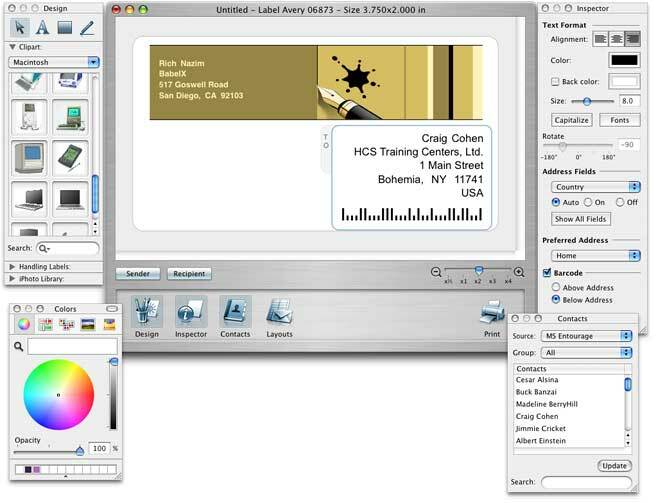 Mail Factory is a program to design and print envelopes, address and shipping labels on your Macintosh. It's fast, comes with ready-made designs, and is perfect for both single or batch printing. 3-step Assistant to get you started quickly. More than 40 built-in designs for labels and envelopes. More than 500 supplied clipart images. Support for European, US and Japanese envelope sizes. Print labels quickly with hundreds of label templates from Avery, DYMO, APLI, A-One, Siegel. Create custom envelope and label sizes. Use addresses from OS X Address Book, Entourage, Now Contact, Eudora, MS Excel, vCards or tab-delimited text files, or input them manually. The choice of Preferred Address Source (Work, Home, Primary) is available for each program. The sources like Entourage import data to the inner database to avoid the long import process each time they are selected. The search option is available for all addresses. Print labels on DYMO label printers. Print USPS POSTNET and Royal Mail barcodes on labels and envelopes. FIM-A Code (Facing Identification Mark) can now be printed on envelopes with US addreses. This code is used together with the barcode and serves for automated sorting purposes. Over 100 handling label signs for use in envelopes and packages (such as "Airmail", "Fragile", etc). Correctly format addresses for over 50 countries. Choose the position of the label that you're printing to, so you can re-use partially used label sheets. Print labels and envelopes for individuals or groups. Automatically downsizes font so that addresses fit into labels. Use cutting marks to print on plain paper. Printer calibration helps to print with great precision. Support for AppleScript allows third-party applications to print on labels and envelopes, using Mail Factory designs. Search images in the Internet with built-in Google search. Apply more than 50 masks to images. Control transparency, tint images with colors, rotate them. Use clipart from built-in collections or select a custom folder. Insert images in many supported formats - TIFF, JPEG, GIF, PDF, EPS and more.